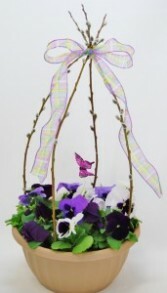 Fragrant & cheerful pansies in many colors (grown by us) are accented with ribbon and a festive pick. 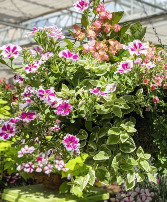 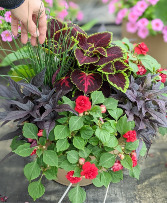 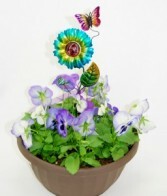 Our colorful and fragrant pansies are topped off with a cheerful metal pick. 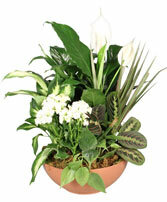 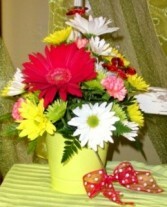 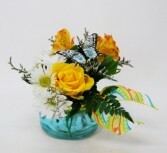 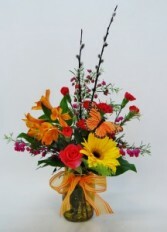 Send this simple statement with flowers as a reminder of gazing at butterflies in summertime.